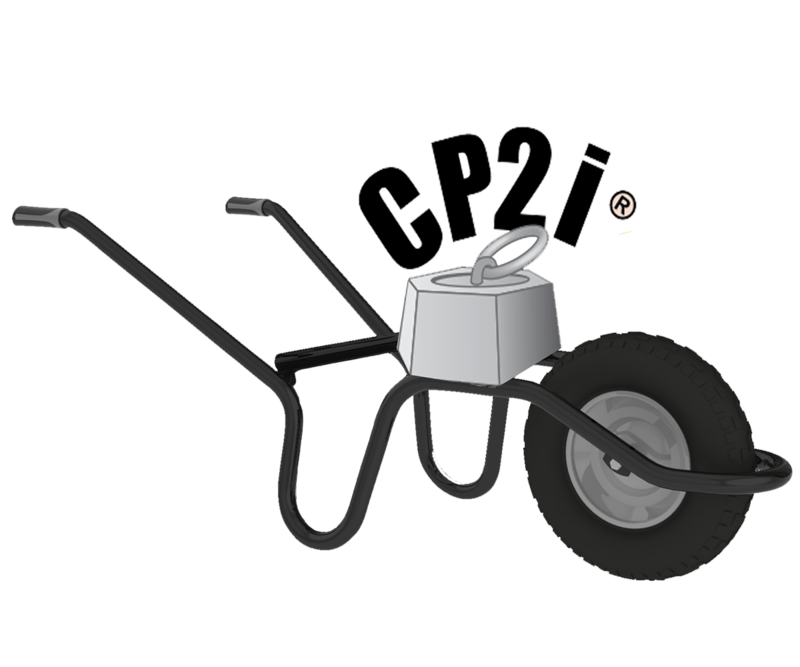 Sturdy tubular, unmovable CP2i frame Ø 32 mm with integrated tipping bar. Two stabilizers attached to the rear of the frame. Metallic galvanized tray 120 l, 1 mm thickness. Two props attached to the frame and the front of the tray. Pneumatic wheel Ø 400 mm with metal disc rim. 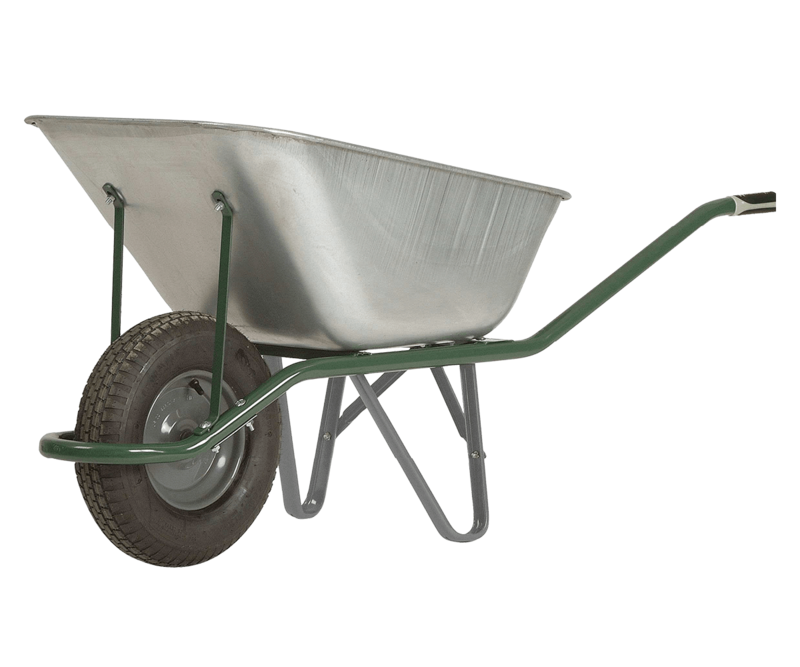 Wheelbarrow DJTR 120 is designed for construction and renovation works. 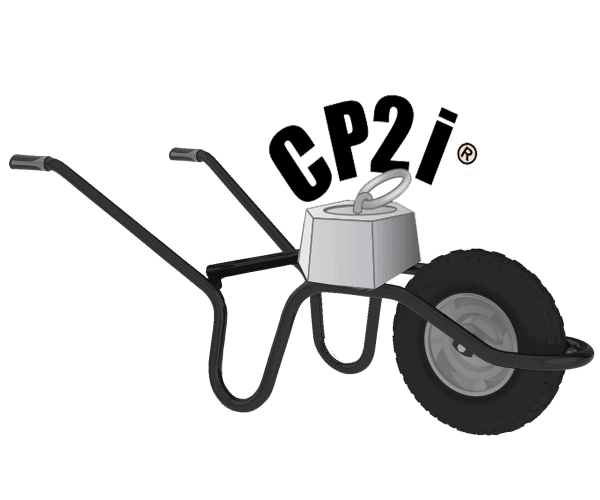 For this purpose, the trolley has a large capacity bin – 120 l or 200 kg. The specific here is that the tray is deep but narrow. 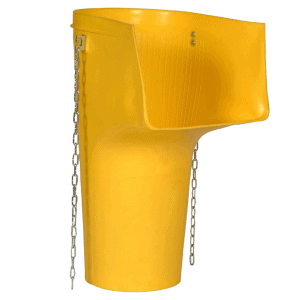 This ensures the passage through narrow construction holes of 70 cm. 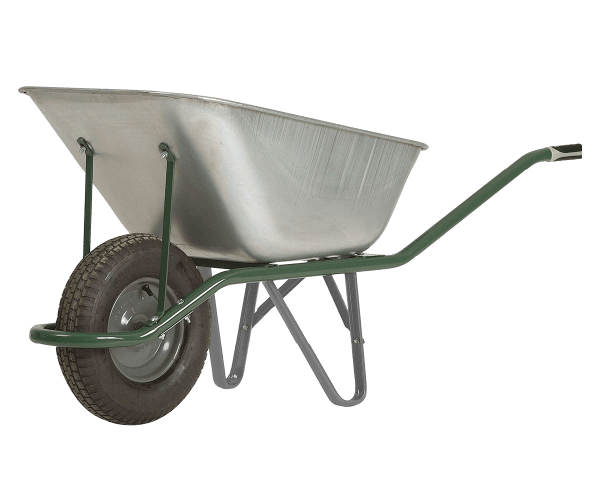 The high load capacity of the wheelbarrow DJTR 120 is provided by the sturdy tubular frame and the two props in the front of the tray. The presence of tipping bar contributes to the easy and quick unloading of the hand trolley. 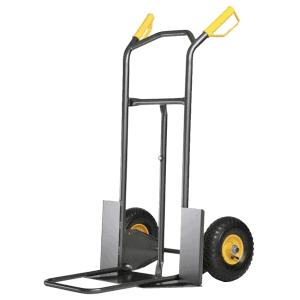 Convenient handholds and the central pneumatic wheel help to smooth ride and easy handling. 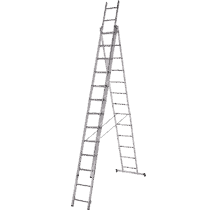 If you need further information, please contact us Djodi Trade LTD.